The valorization of the investment of our customers (public and private owners). The deployment of your outdoor communication throughout Europe. The dynamic and interactive processing of your messages. Our values include innovation, a passion for challenge, rigor and creativity. These are the ingredients that define our identity and the key of our success in projects. Events are all about making a unic event. Display graphics and event signs, banners can help you do this. Whether you have a building that need a canvas, need specific design for your hoarding, require outdoor displays, or require a complete exhibition stand build, we can manage the whole process to make them sing out loud and clear to your audiences. 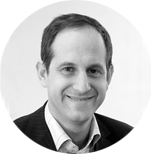 Stephane is responsible for developing strategic plans and leading the future of the company. Stephane began his career in 1996 at Dassault Systemes as a Business Developer. In 2000 he started the entrepreneurship adventure. He co-created Skalli & Rein, a consulting firm dedicated to corporate and marketing strategy. For eight years he advised 200 of the most prestigious companies in the French and international wine and spirits markets, developing added-value services. With the desire of constantly delivering innovative marketing and communication services, Stephane got involved in 2007 in the emerging industry of urban dressing to develop new innovative services. 2016 : Winner at the Icona d’Or trophy – Marking and decor category – Project : Home style train. 2014 : Nominee at the Icona d’Or trophy – Marking and decor category – Project : Toison d’Or temporary path. 2012 : Winner at Kréa Bedouk Grand Prix – Category “Evening event” (Lexus / St Germain En Laye Royal Castle). 2009 : Winner at the “Salon des Maires et des Collectivités Locales” trophy – “Innovation” category. Celize works with state organizations, civil engineering firms, real estate developers, commercial property companies, advertisers, luxury brands and communication agencies.